Offer :and the product offerings of the restaurant that can be ordered on the platform at the restaurant by the Consumer. Order : an order of the Consumer at the Restaurant of the selected plots by the Consumer. Consumer means a natural person not acting in the exercise of a profession or business. Agreement means an agreement between the consumer and the restaurant with respect to an order and the delivery or collection of the Order. Platform : the website (s), apps, tools and other devices Indiandinner and its affiliated companies and business partners to which the service is made available. Restaurant : a company that meals, drinks and related items prepares and sells and used for the establishment and payment of Agreements Platform. Restaurant Information : information of the restaurant with respect to, among other things, business -and contact information, general information, product offerings (meals, side dishes, options and beverages) prices for each product (including VAT), corporate logos, graphics, delivery area ( including postal codes), delivery and minimum order amounts. to facilitate the conclusion of agreements and forwarding orders to the relevant restaurant. These Terms and Conditions Consumers are only applicable to the Service. Indiandinner is not responsible for the Offering. on the Offer, if applicable, the terms and conditions of the restaurant apply. e Consumer goes through placing an order directly into an Agreement with the restaurant for the delivery of the selected plots by the Consumer. and restaurant information on the Platform. Indiandinner Restaurant gives all the information so again, it is clear to the consumer what rights and obligations associated with the acceptance of the Offer. Indiandinner accepts no responsibility for the accessibility of the Platform. The Agreement is concluded at the time the consumer makes the final order by clicking the ‘Buy Now’ during the process of placing an order through the Platform. The Agreement may only be carried out by the restaurant if the consumer correct and complete contact information fill in the completion of the Order. The consumer has the duty to inaccuracies in data supplied or specified payment immediately report to the Restaurant. In connection with information on the status of his order, the consumer after placing the order by telephone and e-mail must be accessible to the Indiandinner restaurant using the contact details indicated by him. If the consumer chooses the order delivery, he must be present at the delivery address specified by the consumer to take the order received. 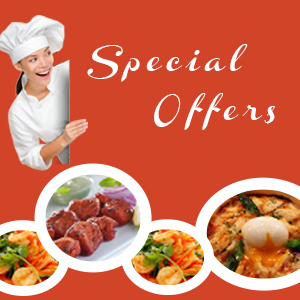 If the consumer chooses to pick up the order, he serves on the selected time to be present at the pickup location of the restaurant, which is shown in the confirmation email or on the Indiandinner website to take the order received. Indiandinner assumes no liability in connection with the execution of the Agreement. In connection with the perishability of the Offer is that the consumer is not entitled to terminate the Agreement. Orders can not be canceled by the consumer at Indiandinner. Cancellation of the order by the consumer at the restaurant is only possible if the restaurant explicitly indicates that the Order Cancellation by the consumer is possible. Indiandinner reminds the consumer that the restaurant has the right to cancel the order if, for example force majeure, if the Offer becomes unavailable or if the consumer has given an incorrect or unreachable telephone number or delivery address. If the consumer places a false order (for example by not paying or not be present at the delivery location or pickup location to take the order received) or otherwise obligations arising fails to perform under the Agreement, then Indiandinner may decide future orders to refuse the relevant consumer. Indiandinner has the right to refuse orders on behalf of the restaurant and cancel agreements, if serious doubts exist as to the accuracy or authenticity of the Order. If Indiandinner cancels an Order which has already been paid, Indiandinner will amount to transfer to the same account as for which payment has been made. If the Consumer demonstrably false or fraudulent orders placed, then Indiandinner can report this to the police. As we sell perishable goods, we ask that you – the customer – inspect the food once you have opened the box. Refunds are made against products that are damaged in transit or for missing goods and not for matters of taste or a change of mind. we will deliver the correct one as soon as possible. Obviously we shall not charge you for incorrect item. At the time the Agreement has been established pursuant to Article 5.1 of these Terms and Conditions Consumer particular, there is a liability of the consumer against the restaurant. The consumer can be satisfied this obligation by paying with an online payment, by using the Platform or through payment to the Restaurant at the door or at the pickup location. Subject to Article 6, paragraph four of these Conditions of Consumers, the (partial) reversal of an online payment only if the order can not be delivered (completely). The reversal always takes place on the same account as for which payment has been made. The Restaurant has Indiandinner authorized to accept online payment by the consumer on behalf of the restaurant. Consumer complaints about the Offering, the order or the execution of the Agreement, shall be deposited in the restaurant over in Article 2 of these Conditions of Consumers under “Address for correspondence” listed contact information. Indiandinner can only play a mediating role in the handling of complaints. If the consumer has a complaint about the service, should the complaint via the contact form, by email or in writing to be communicated by mail to the customer Indiandinner on it in Article 2 of these Conditions of Consumers indicated contact address. After the complaint was received Indiandinner will as soon as possible Indiandinner, but within one week, respond with an acknowledgment. Indiandinner aims to deal with the complaint as soon as possible and within one week. Complaints as described in paragraphs 1 and 2 of this Article shall promptly after the consumer has discovered the defects, described fully and clearly presented to the Restaurant or Indiandinner. Contracts between Indiandinner and the consumer to which these General Terms and Conditions Consumer concern is Dutch law. Disputes between Indiandinner and the Consumer about the creation or implementation of agreements relating to the Service, can be brought only if the Consumer Indiandinner by the competent court in Amsterdam. Upon completing the order, the consumer can choose to receive the newsletter. The consumer can unsubscribe from this newsletter via www.indiandinner.nl website or by contacting customer service via the Article 2 of these Conditions of Consumers under “Address for correspondence” listed contact information. Indiandinner stores personal information of the consumer. The storage of personal data is the Privacy Statement applies. · Your address, including the postcode, of the billing address associated with the payment card. 2. The price of goods charged will be as quoted on the web site at the time you confirm your order with us. Excluding any inadvertent technical error on pricing, we will honour any prices as published at the time of placing your order. Your credit card shall only be charged for items dispatched to you. 3. Due to differing product promotions the prices displayed on the website may vary to prices in our retail stores and independent outlets selling our meals. 4. will agree a delivery date and time with you and will telephone or email you to confirm delivery arrangements. 7. We reserve the right to restrict deliveries in certain areas and this includes the right to withdraw the service altogether, depending on the demand on our kitchen. 8. Orders worth less than 100 euros can be cancelled up until the moment that they are dispatched.